The reasons for trusting someone is because you know them too well and know what they are capable of doing, or you do not know them at all and you are willing to take a chance on them. That sounds complicated, right? That is trust, trust is complicated. It could also be really hard to trust someone, more so when you have trusted in the past and it had come back to hurt you. This tends to have a negative effect on the way you deal with people or future relationships. It can leave you insecure, thinking your present girlfriend is just going to be like the previous one. But apart from love, trust is another factor that keeps a relationship going. In my own book, if you cannot trust your girlfriend, you might as well not be in a relationship with her. Every time that you are in a relationship, you have to be able to trust and believe that this time around, it is going to work out well. Does She Readily Share Her Feelings? If your girl does not hold back her feelings and shares it with you honestly, chances are she is trustworthy. Women are mostly emotional and love to be free about their emotions without thinking twice. You need to look out for this. Is she mincing her words when she talks about some sensitive issue? Is she trying to hold back something? Sometimes, you might need to be patient with her because it takes quite some time for her to put herself in a vulnerable position in front of someone new. So if the relationship is still at its infant stage, you do not have to push things too quickly for trust grows with time. Also, make sure that you are accessible and make her understand that her feelings matter. In essence, you need to be trustworthy before expecting it to be reciprocated. When your girlfriend messes up and she tells you without thinking twice about it, then you have to know that she is really trustworthy and that is a good sign. People actually do not like to talk about situations where they have messed up, like saying the wrong things or acting stupid. As a matter of fact, when they see that they are on the verge of being caught, they tend to cover it up with a little lie so as not to bear the consequences. So when your girlfriend is rather honest with you, or on the other hand she tells you about times that she has lied to you to cover up some things, it means that you are in a good place with her and that you can trust her. If she is always ready to tell you about how her day went in details, even with little and unnecessary things like the color of the clothes she picked for the day, then you do not have to worry for she is trustworthy. With every information that she shares with you, it just goes to show how open she is to you, and it means that she really has nothing to hide at all. Girls take a long time to trust you with their body, so when she touches, caresses, and kisses you frequently, then this is definitely a good sign. People do actually say that when you have a girlfriend who does not like snuggling up to you, it might mean that someone else is in the picture because most girls love snuggles and cuddles with the person they trust. Therefore, look out for the tiny bit of affection that she displays, like hugging you from behind when you are working at your desk or snuggling up to you when you are watching Netflix on the couch. These are the little things that build trust in a relationship. This is probably one of the greatest methods to ascertain that trust. People, even when they are in a relationship, do not always trust themselves with their bank accounts or financial status. It is just the way most of us are wired. But when you have a girlfriend that does not care about this and her finances are out in the open to you even to the extent of sharing a bank account with you, then it clearly shows that you can trust her. Even if both of you do not have a joint bank account, yet she tells you about her financial situation and seeks advice from you, she just might be that trustworthy girlfriend you have been looking for. If your girlfriend is willing to make sacrifices and goes out of her way to make you feel assured, then you have a trustworthy gem. An example of such is when you are insecure about her working with a male colleague and she goes ahead and introduces you to her colleague as her boyfriend, then it shows that she really has nothing to hide. When your girl lets everyone around her and new people she has met know about you, you can safely assume that she is trustworthy. Is she giving you her undivided attention? When you are having a talk with your girlfriend and she seems uninterested about it, then it can lead to trust issues. But if she is willing to talk to you regardless of the situation, and she even stops whatever she is doing to iron out any small matter with you, this means that she holds you in high regard and you should be able to trust her. If your girlfriend is there to let you complain about a bad day or share your opinions on issues that matter to you without trying to be manipulative in any way at all, then that is definitely a good sign. Most of the time, people like to be heard more than hearing other people out and do not care about issues that they are not interested in. But if you have someone who is ready to spend time just listening to your talk – whether it being good or bad – then it is a good indicator that she genuinely cares about you and you can trust her. 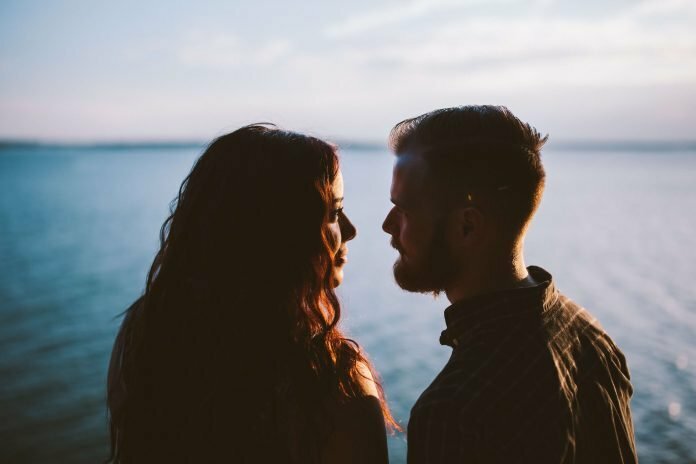 When you are in a close relationship, it is very common to ask your partner questions about where have they been or what have they done that day. If a simple question like: “So what have you been up to today?” suddenly makes her defensive, then there might be something amiss. Should she come home late one night and you asked her where she has been, she answered the question easily while giving you a very good reason, then it is likely that you can trust her. Believe it or not, someone’s mobile phones can tell almost everything about that person. A GPS app shows where that person has searched for and chat message history are definitely very telling. Therefore, if your girlfriend does not feel uncomfortable with you using her mobile device like taking a picture or she gives it to you unlocked, then you can be pretty certain that she has nothing to hide. However, you should respect her privacy and not go through her messages without her permission. If she catches you snooping around without her consent, then you will seem like the untrustworthy partner in the relationship. Unfortunately – or fortunately, depending on how you see it – normal human beings are usually unable to control their body language. If someone is lying, they often won’t be able to look you in the eye or their body movements become stiff and unnatural. Conversations will not flow easily and there tend to be holes in the stories told by someone who is lying. If your girlfriend has a very open body language and carries on a conversation with you effortlessly, then you can probably trust her. Most trustworthy people tend to keep to the end of every bargain. This means that when they say they will do something, they always come through no matter how difficult it may be. So if your girlfriend is always making up excuses, it is not a good sign. This holds true even for keeping to the little things like promising to do the dishes, promising to come and see you over the weekend. If she keeps her promises, big and small, then you can very likely trust her. The first thing that you need to understand is that trust takes a lot of time and patience. If you are trying to make it happen all at once from the onset of the relationship, then it might never happen. The girl may see it as a projection of your insecurity, and she just might never be open to you anymore. You cannot expect that she tells you all of her secrets all at once, it is a very gradual process. You need to take your time and know that both of you are on the same page before you start placing all your trust in her. You have to tread carefully and understand that the best way to avoid negative occurrences in past involving trust related issues is by her earning your trust. You can love and make her know that you will always be there for her regardless, but you need to really know who she is. So you might want to be more careful this time, to make sure that she really is the right one. Slow and steady is the right to do things. You need to start trusting her on the little things first. These little things include overcoming doubts and a tiny bit of suspicions, taking her words for what they are and etc. Once you are able to find her trustworthy in this aspect, then you can start placing bigger trust in her. This way, you can build the relationship on a solid foundation of trust. You need to realize that we all are humans and can err. You can’t just say you want to be oblivion to the fact that she seems like a good person and you are going to trust her wholly right from the start. You need to give room to possibilities, in case if things go south – as we all have learned that they sometimes could. Trusting someone is a long process, and you simply cannot cut corners and arrive at the end product without going through the entire process. Although you might be lucky, more often than not, you will end up getting hurt if you take a short cut. Then you might go into a downward spiral where it gets harder and harder for you to trust someone in the future. One way to trust her more is by letting her trust you too. Be open to her and if you have done something wrong, be honest with her. Make her understand that mutual trust is very important in the relationship and whatever might happen, both of you have to be willing to forgive each other and move on. With this, she will be more open and you can build your trust from there. Jumping to conclusions prematurely is very unhealthy for a trust-building process. If you feel uncomfortable about anything, then you should try and talk to your girlfriend about it sooner rather than later. Tell her without mincing your words about what you think is happening and explain to her that you just want clarifications. This is better than automatically thinking that your fears are valid and you start to accuse your girlfriend without giving her a chance to explain. Talk about everything and anything in particular. When you are with someone whose communication channels are always open, then it will naturally bring trust into your relationship. You will be able to talk to her all the time and vice versa. Should an issue arises, you will be able to resolve it quickly and efficiently without it spiraling out of control. It starts with acts like giving her the key to your residence to show that you really have nothing to hide from her. When you are very open to her, she will naturally reciprocate. Now, if you are not being honest to her, you can’t expect her to be trustworthy, can you? If you came home late because you were out drinking with your friends but told her it was because of work because you know she does not like you drinking after work, then you have no right to expect your girlfriend to be truthful to you too. Remember, do unto others as you would have them do unto you. If you stay true to your words, then she most probably will stay true to hers too. At the end of the day, a girl just wants to feel that she is important to her partner and that they care about her. However, if you do not show her that you think she is important, she might be questioning your motives in the relationship and therefore, would likely develop trust issues. You can show that you care about her in many ways – by telling her in words, by giving her attention, or even occasionally giving a romantic grand gesture. When she feels appreciated, she will naturally begin to trust you and make attempts to make you trust her too. Trust is really a hard thing to develop, but once you have it in your relationship, you will find that things will go smoother and communications come easily. How to go about building trust will depend on the person you are in a relationship with. If your girlfriend has had a bad experience with trusting someone prior to the relationship, it may take longer for you to win her over. In this case, you have to be very patient with her and work harder at proving to her that mutual trust is possible. Feel free to use all or some of the tips we have given to help better your relationship by enhancing your trust in each other. Remember, it takes two hands to clap and you must be trustworthy yourself before you start thinking of whether you can trust your girlfriend or not.